NEW YORK — Between the Final Four, the week's most popular entertainment special and their usual solid shows, there was no stopping CBS this past week. 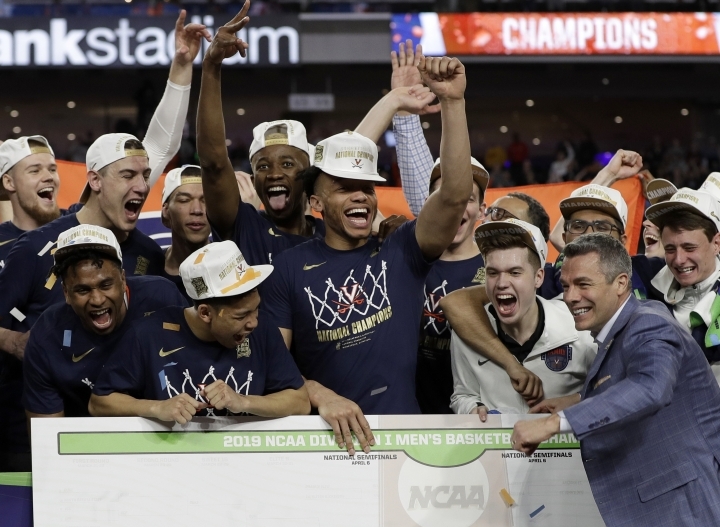 The Nielsen company said CBS had the eight most-watched shows of last week, led by the men's national basketball semifinal that matched Texas Tech and Michigan State. The Academy of Country Music awards show also made it into Nielsen's top 10. "The Big Bang Theory" seems destined to go out on top, since it was the week's most popular scripted show as it heads into its final run before signing off in May. NBC's "This is Us" was seen by 8.2 million people live last week for its season finale. CBS averaged 8.6 million viewers in prime time. NBC was second with 4.6 million, ABC had 4.1 million, Fox had 2.5 million, Univision had 1.4 million, ION Television had 1.3 million, Telemundo had 1.1 million and the CW had 630,000. Fox News Channel was the week's most popular cable network, averaging 2.28 million viewers in prime time. MSNBC had 1.6 million, HGTV had 1.22 million, TBS had 1.08 million and ESPN had 1.05 million. ABC's "World News Tonight" topped the evening newscasts with an average of 8.1 million viewers. NBC's "Nightly News" was second with 7.6 million and the "CBS Evening News" had 5.7 million. For the week of April 1-7, the top 10 shows, their networks and viewerships: NCAA Men's Final Four: Texas Tech vs. Michigan St., CBS, 15.84 million; "Final Four Basketball Bridge," CBS, 13.77 million; "The Big Bang Theory," CBS, 12.23 million; "NCIS," CBS, 11.9 million; "Young Sheldon," CBS, 10.51 million; "ACM Awards," CBS, 9.92 million; "60 Minutes," CBS, 9.51 million; "FBI," CBS, 9.08 million; "The Voice," NBC, 8.52 million; "Chicago Fire," NBC, 8.25 million.